Corky’s BBQ, a Memphis BBQ legend for nearly 35 years started by long-time Memphis businessman Don Pelts, announced today an expansion and partnership agreement with Dobbs Equity Partners LLC (“DEP”), a family investment company founded by long-time Memphis businessman, John H. Dobbs, Jr. These two historic Memphis families of entrepreneurs are now joining forces to accelerate growth of the already world-famous Corky’s BBQ brand nationwide. 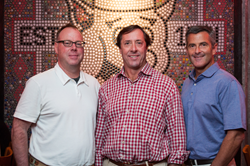 “Our business has grown significantly since the first restaurant opened in 1984. We have come to know and respect the Dobbs family and are confident that the individual strengths of our two long-time Memphis families will take Corky’s to the next level,” said Andy Woodman, Co-Owner Corky’s BBQ. This partnership will allow Corky’s to expand its corporate-owned brick and mortar footprint with current plans to open 15 additional stores over the next three years as well as invest and expand the Corky’s food manufacturing and distribution operations. “Our business has grown significantly since the first restaurant opened on Poplar Avenue in 1984. However, we also know there are more opportunities to serve our great customers across the nation. While we are a family business, we have come to know and respect the Dobbs family and are confident that the individual strengths of our two long-time Memphis families combined will take Corky’s to the next level. Our management team and employees have enabled Corky’s to enjoy 19 consecutive years of growth. We plan to continue this trend by partnering with the Dobbs family,” said Andy Woodman, Co-Owner Corky’s BBQ. Corky’s has been a Memphis BBQ institution since it was opened by founder Don Pelts nearly 35 years ago. Still family-owned and operated by the Pelts and Woodman families, Corky’s has grown from one small restaurant in East Memphis to four full-service restaurants in the Memphis area, two outlets inside Memphis Kroger locations, and four franchise locations outside of Memphis. In addition, Corky’s recently signed an agreement to open another 15-20 franchised stores over the next several years in Texas. In addition to their restaurants, the Corky’s umbrella consists of the Corky’s Food Manufacturing, Prime Time Strategic Partners, and Simply Delicious Catering. Corky’s Food Manufacturing manufactures and distributes Corky’s retail food products and El Terrifico Cheese Dip to Walmart, Sam’s Club, Costco, Publix, Kroger and other outlets. All items are manufactured and shipped from their more than 115,000 square foot manufacturing and distribution facility in Memphis, Tennessee. Prime Time Strategic Partners is a regular contributor to the QVC shopping network along with offering full-service fulfillment and shipping of refrigerated and frozen foods for dozens of brands nationwide. Simply Delicious Catering offers full-service concierge catering for groups ranging from 10 to 10,000 people. John H. Dobbs, Jr., DEP’s Chief Executive Officer, comes from a rich history of entrepreneurs and the Dobbs family have been investors in various businesses since 1920. Mr. Dobbs grandfather, James K. Dobbs, was a serial entrepreneur who had success in many different industries, including automobile dealerships (primarily Ford) and restaurant and airline catering (Dobbs Houses, Inc.). Mr. Dobbs father, John Hull Dobbs, Sr. continued the family business success by acquiring Anheuser-Busch distributorships and expanding the family´s investments in automobile dealerships (primarily Honda and Toyota). When Mr. Dobbs, Jr. joined the family business, the family started Three Rivers Holdings, Inc., which operated Unison Health Plans, Strategic Behavioral Health, one of the largest mental health providers in the country, and DYK Holdings, a nationwide distributor of aftermarket automotive parts. “We are excited that we will be joining forces with the Corky’s family of companies. As investors, it is so important to believe in and trust your business partners and know the quality of their products. As a Memphian, I have known Corky’s for decades and believe it is the number one Memphis-style BBQ in the country. Corky’s offers a true Memphis experience and we plan to grow these products and holdings coast to coast to deliver the best taste of Memphis across America,” said Mr. Dobbs, Jr.
Bass Berry & Sims provided legal advice to Dobbs. FirstBank provided financing for the transaction. Metronome Partners and Raymond James served as financial advisor to Corky’s and Baker, Donelson provided legal advice to Corky’s. Corky’s BBQ lives and breathes in the BBQ CAPITAL OF THE WORLD: MEMPHIS, TENNESSEE! 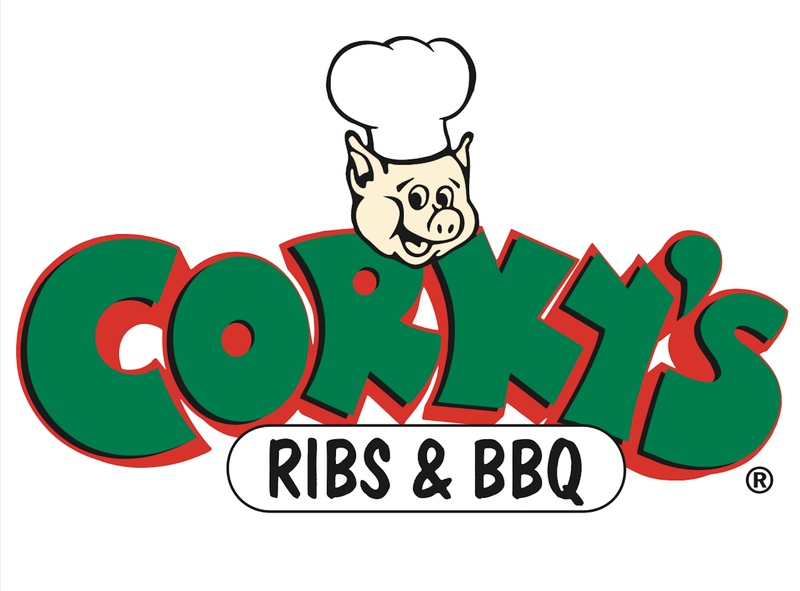 Home to over 100 BBQ specific restaurants, Corky’s has been Voted #1 BBQ in Memphis by readers polls over 22 times! Corky’s philosophy is to buy the very best raw products, cook the old-fashioned way over hickory and charcoal, hire the best team to support Corky’s and to do it right EVERY TIME! The success of Corky’s dining room business led to a booming drive-thru / take out business that had never been done before in Memphis BBQ. Within a year of opening, Corky’s started taking its great BBQ to people’s homes, businesses and picnic facilities with a full-service catering team. They arrive, set up, serve and let the customer focus on having fun! Corky’s has catered events as large as 18,000 people and served them all in two hours! Such a large number of out of town customers would enjoy a ‘Taste of Memphis’ while at Corky’s in the early years that they opened a USDA inspected processing facility in 1991. That original 900 square foot space has been improved over the years to now encompasses more than 115,000 square feet USDA certified facility! Corky’s BBQ is shipped overnight to sports stars, Hollywood celebrities, and other people all over the world. This facility also cooks all the food that Corky’s ships to Supermarkets including Wal-Mart, Sam’s Club, Kroger, Publix, Costco, and many others. Corky’s has been a Memphis BBQ institution since it was opened by founder Don Pelts nearly 35 years ago.Corky’s has been a Memphis BBQ institution since it was opened by founder Don Pelts nearly 35 years ago.